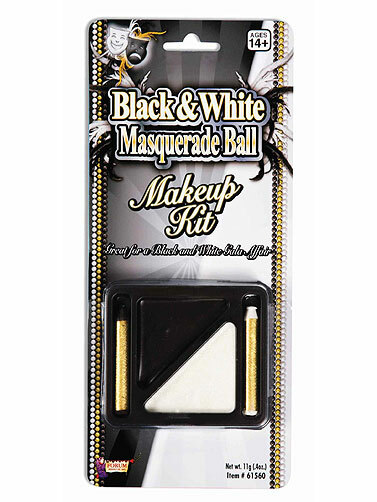 This black and white costume makeup duo is all you need for a number of makeup effects. Includes makeup tray with black and white cream makeup including a makeup stick in each color. Removes with baby oil and soap and water. Ages 8+.